Little Runner of the Longhouse (I Can Read Book 2) GL 1.9 LL 430 – This is a book from my childhood that we have sitting on a bookshelf. I thought my son would enjoy it. It is a story of a young Native American boy and ways he tries to get some maple sugar. Nate the Great GL 2.2 130 LL – This is the first book in a series of many Nate the Great books. It is about Nate, a mini-Sherlock Holmes, who goes around solving mysteries. This is about a 60 page book with pictures. It is a nice bridge to chapter books because there are more words on the page. Frog and Toad Together (I Can Read Picture Book) GL 2.3 330 LL – Frog and Toad books are classic books for beginning readers. They feature two interesting and funny creatures – a frog and a toad. The first time my son started reading a Frog and Toad book he had fits of uncontrollable laughter. This is the only one he hasn’t read yet. The Titanic: Lost and Found GL 2.5 290 LL – This is an illustrated beginning reader book that takes the reader into the past. It tells the story of the Titanic. After reading this book we will view a DVD about the Titanic. The Big Balloon Race (I Can Read Book 3) GL 2.9 400 LL – This book is a story of a balloon race in 1882. A little girl stows away in her mother’s hot air balloon and adventures ensue. It is a level 3 I Can Read Book which is suggested for grades 2-4. Good Driving, Amelia Bedelia (I Can Read Book 2) 2.8 GL 230 LL – Amelia Bedelia books are quirky funny stories of a housekeeper that takes everything literally. So if she is told to dust the furniture she adds dust to it. These two books are part of a larger series of Amelia Bedelia books so if you child enjoys it there are plenty more available. Wagon Wheels (I Can Read Book 3) GL 3.5 350 LL – This book is a story of young brothers and their adventures in the west. The brothers ended up traveling on their own. It is a short beginning chapter book with pictures. Keep the Lights Burning Abbie (On My Own History) , Abbie GL 2.7 LL: 260 40 pages with pictures – This is a story of a girl who has to tend to a lighthouse while her father is away. The Sword in the Tree (Trophy Chapter Book) GL: 2.2 380LL – This book is a fun jump into chapter books. While there are a few pictures, most pages only have text. It is a story of a boy in the time of King Arthur. He must save his family’s castle. The Long Way Westward (I Can Read Book 3) GL: 2.9 LL: 320 – This is a story of a Swedish immigrant family making their way across America to settle in Minnesota. They run into many difficulties along the way. Prairie School (I Can Read Book 4) GL 3.2 LL 410 – This is a story of a little boy on the Colorado prairies in the 1880’s who doesn’t see the need in learning how to read. 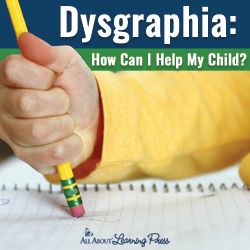 His aunt comes to visit and he starts to see the usefulness of learning how to read. This short chapter book is full of pictures. Jake Drake, Bully Buster GL: 2.7 LL: 460 10 chapters 73 pages – This is a chapter book about a fourth grader named Jake. He relates his past experiences with bullying and how he comes to understand the real person underneath the bullying. The Boxcar Children (The Boxcar Children, No. 1) GL 3.2 LL 300 13 chapters – This chapter book is a story of four young children who are orphaned and homeless. They end up living in a boxcar. The Magic Finger GL 3.5 LL 450 – This is a Roald Dahl story of a girl with a magic finger. She uses her magic finger to stop her neighbors from hunting. The Owl Who Was Afraid of the Dark 3.5 GL 550 LL – This picture book is a story of a baby owl who was afraid of the dark. He asks other creatures why they like the dark before he decides he is ready to be a night owl. Designed to be real aloud to preschoolers it can also be enjoyed by independent readers. The Bears on Hemlock Mountain GL: 3.5 LL:490 10 chapters – This is a chapter book about a boy’s adventure on Hemlock Mountain. He was told there were no bears on Hemlock Mountain and he found out that there were bears on Hemlock Mountain. The Field of the Dogs 3.8 GL 530 LL 15 chapters – This is a chapter book about a boy who is adjusting to living in a new area. He struggles with bullying and his only friend is his dog. He hears his dog talking in human speech with other dogs. Conflicts and resolutions ensue. The Whipping Boy GL: 4.0 LL 570 20 chapters – This is a whimsical prince and pauperish story of Jemmy and Prince Brat. Jemmy is the boy who took all the whippings of Prince Brat. The boys leave the palace on an adventure involving Hold-Your-Nose-Billy and other unique characters. The Littles GL: 4.1 LL: 460 11 chapters 80 pages – This is a story of little people with tails living in the walls of a house. Adventures come when the family encounters new people living in the house and mice. 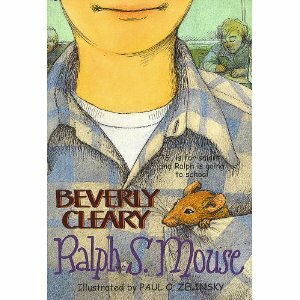 Ralph S. Mouse GL: 4.1 LL: 860 139 pages – This is a chapter book about Ralph the mouse. Ralph befriends a boy and goes with him to school where he becomes the class pet. A Grain of Rice GL: 4.2 about 60 pages – This is a 15th century story from China. It is a mathematical tale that presents a peasant outwitting the Emperor to win the hand of the princess. Castaways in Lilliput 4.3 GL 530 LL- This is the story of three children whose raft drifts away and ends up landing on Lilliput. They are giants to the people and land of Lilliput. Three Tales of My Father’s Dragon 3 Tales of My Father’s Dragon GL 4.7 LL 800-990 – This is a series of three books (My Father’s Dragon, Elmer and the Dragon, and the Dragons of Blueland). A boy named Elmer goes off in search of a dragon, rescues him, and have many adventures. This series was a favorite with my oldest son. Fantastic Mr. Fox GL 4.9 LL 600 – This is a fun story of a fox who outwits three bumbling farmers who try to catch him. Roald Dahl brings animals to life in his imaginative tale. The Hundred Dresses GL 5.0 LL 890 – This is a story of a poor girl who tells classmates she has 100 dresses at home. They laugh and tease her and her family ends up moving away. The story looks into the effects of teasing and deals with the regrets of her classmates. Danny the Champion of the World GL 5.5 770LL – This Roald Dahl book is a story of a boy and his dad. The father and son bond is strong and important. The father and son live in a caravan near the filling station where the father works. At night the father sneaks off to poach pheasants. When Danny finds out he wants to help his father. The Apple and the Arrow LL 750 – This is the story of William Tell’s son, Walter, in 1291. It describes the changes happening due to the revolution and relates the famous incident where William Tell shot an apple off Walter’s head with a crossbow. The Enormous Crocodile GL 5.6 LL 410 – Yes, another Roald Dahl book. Can you tell I am a fan? This is a story of a crocodile that wants to eat a child. Different animals try and talk him out of it as he heads toward the town. The jungle animals end up saving the day. So what is the plan? While I am still working out the details I will likely have my son read aloud to me in 30 minute time segments approximately 3 times per week throughout the school year. Going at his current pace we will probably make it to Ralph S. Mouse or The Littles. Nothing is set in stone though. If he needs more practice on a certain level we will add books. If he dislikes a book we will discard it. If his pace increases then we will complete the list and add books if necessary. homeschool reading, literature list, reading, reading books. Bookmark. Bookmarking this. Thanks for another terrific reading list. I enjoyed looking at your list! We have many of the same books in our library, too. The Boxcar Children are some of my all time favorites – my mother tells my kids she can remember being in a one room school and after lunch the teacher would read Boxcar Children aloud each day. Books make wonderful memories. Thank you for a beautiful blog! I like your list. I have most of them, but there are a few for me to look into.